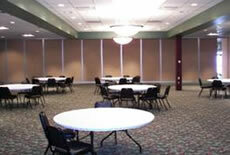 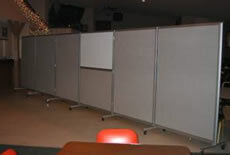 Our most popular room dividers combine good sound reduction and reasonable pricing. 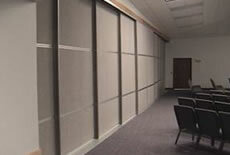 Heavy duty commercial room dividers with even better sound reduction. 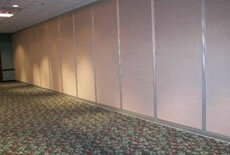 Designed as a semi-permanent wall that is manually removed. 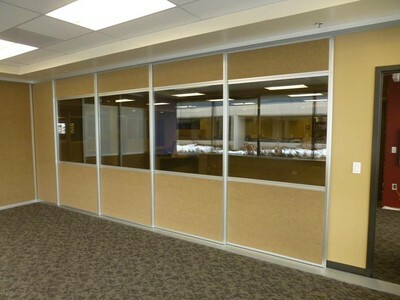 See our FD-1000, FD-1500 and our all new BW-1500 room divider made with reclaimed barn wood. 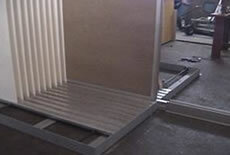 All of our products are floor supported and do not require ceiling beams or additional bracing.